Your magic chariot awaits, but not in the form of a pumpkin, but as a 1963 Shasta Airflyte. Some girls might like diamonds and glitter while others prefer the outdoors and camping. 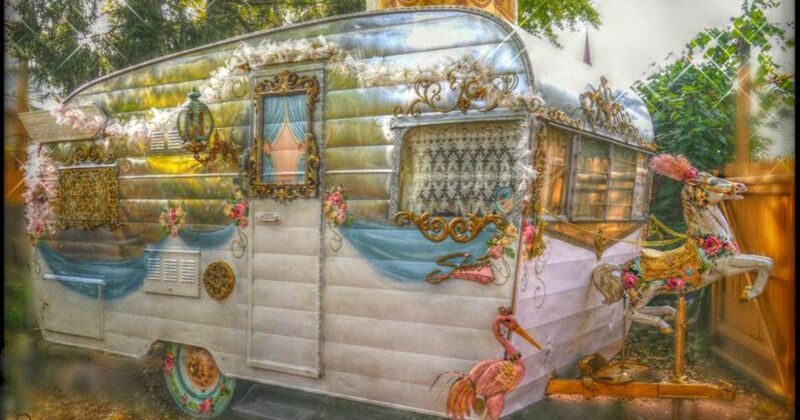 One woman proves that it's possible to like both by giving her vintage Shasta a makeover fit for a princess. 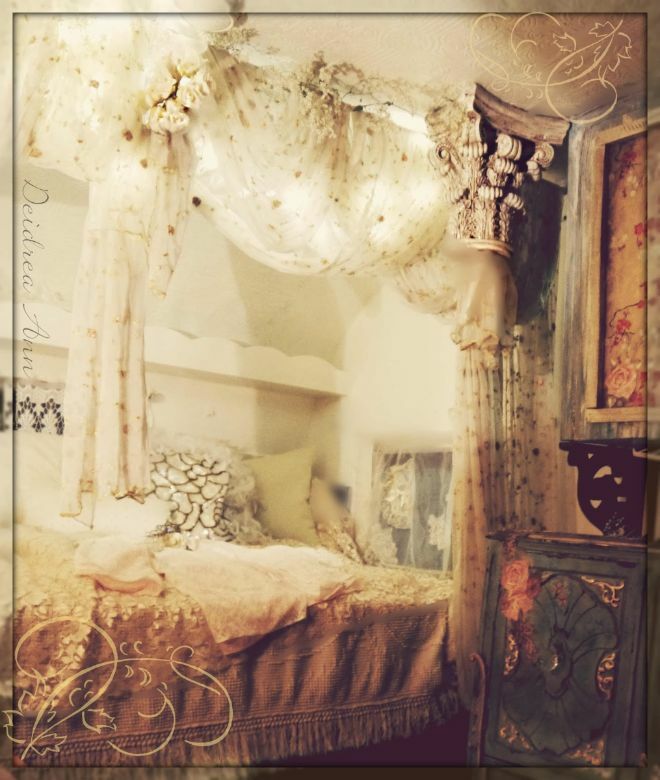 Deidrea Ann is the owner of The Tin Tiara and the writer of this Shasta fairy tale. 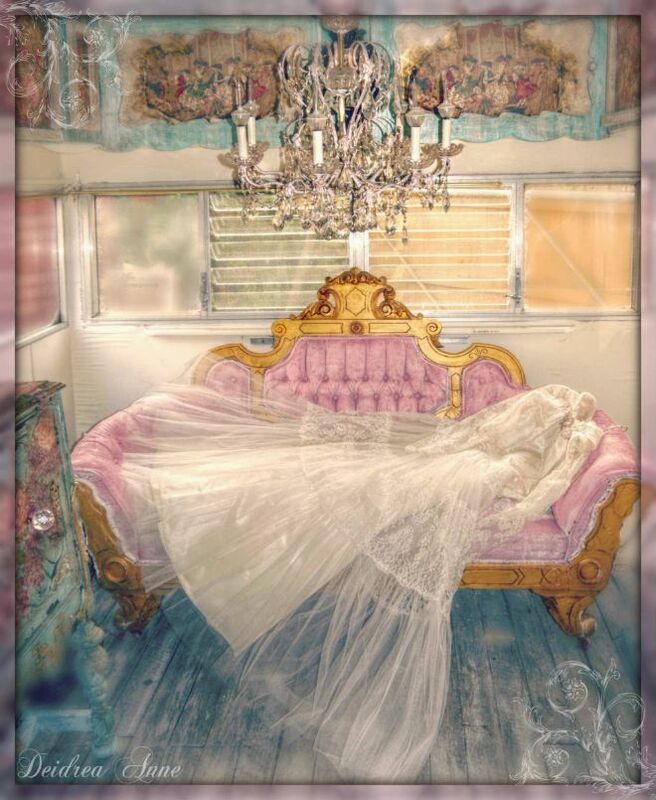 By renting out her Cinderella camper, anyone can have their moment to feel like a princess. 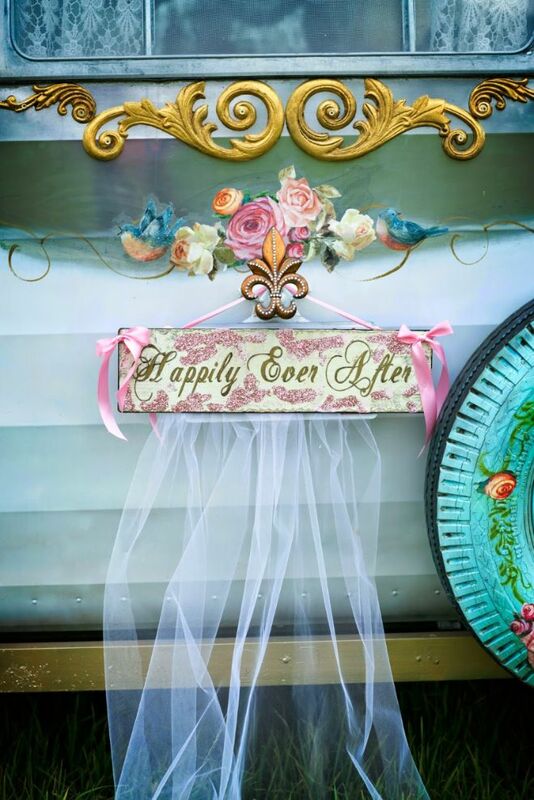 Whether you are planning the wedding of your dreams or looking for an elaborate way to enter the party, this camper is made to grant any wish. The Tin Tiara is meticulously covered in lustrous surfaces and hand-painted details. She glistens from inside to out. What princess is without her own horse-drawn carriage? 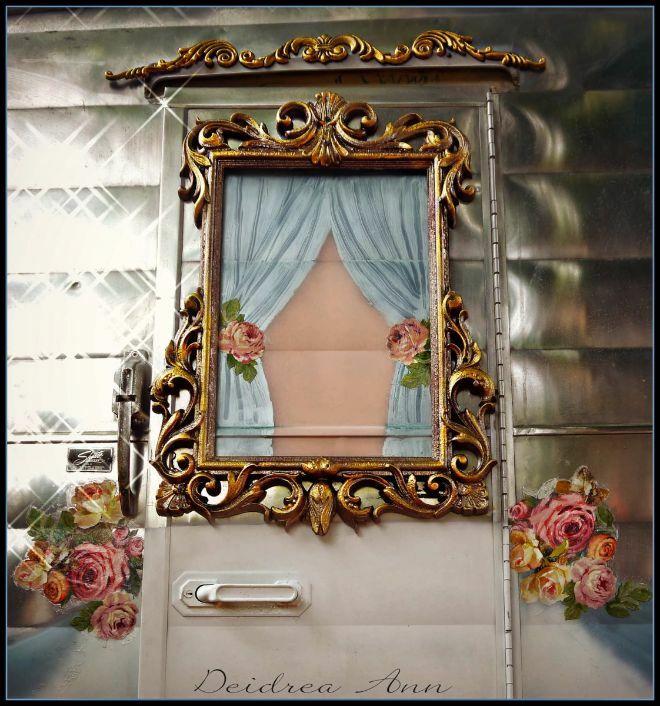 A beautiful trompe-l'œil window painting greets you at the front door of The Tin Tiara. 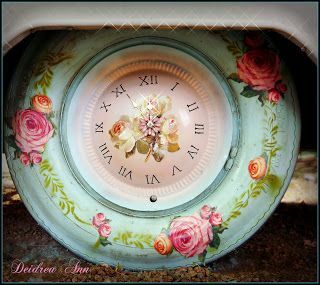 Hand-painted details cover this princess camper, even the tires have flowers on them. The interior is just as lavish. The seating area features a lush pink and gold sofa and jeweled chandeliers. Elaborate ornament covers every inch of this camper. 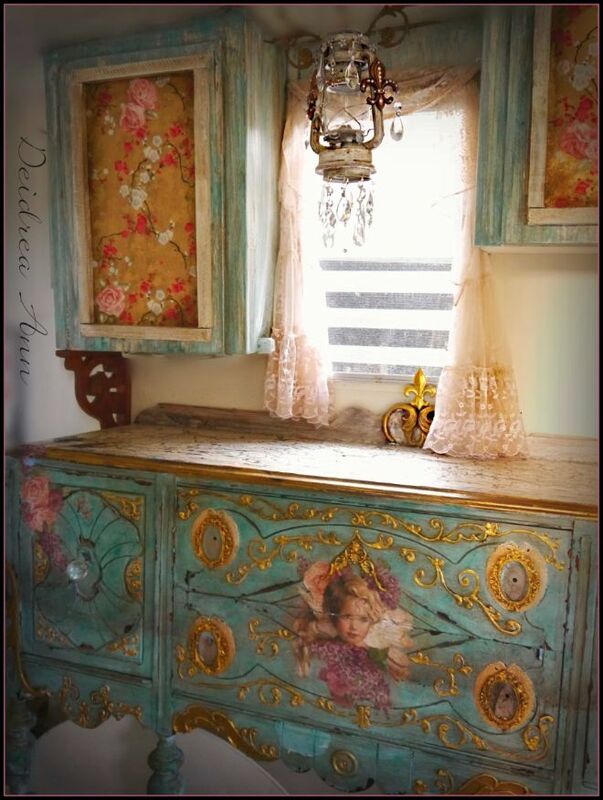 This old, wooden dresser has been revamped with gold embellishments. 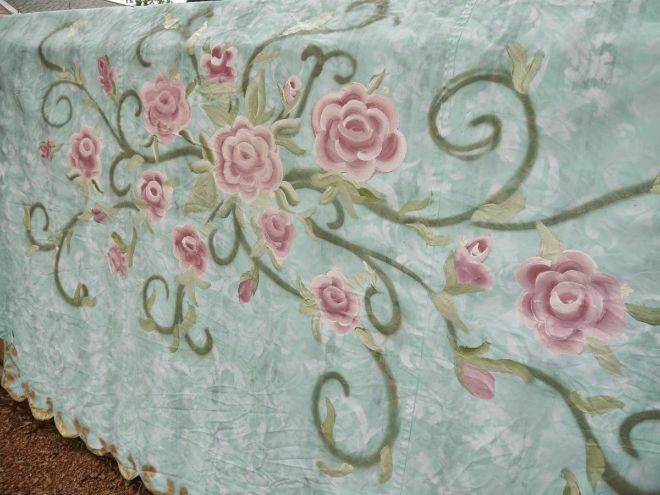 Feel like you are lying in a field of flowers when you are under the canopy of this bed. 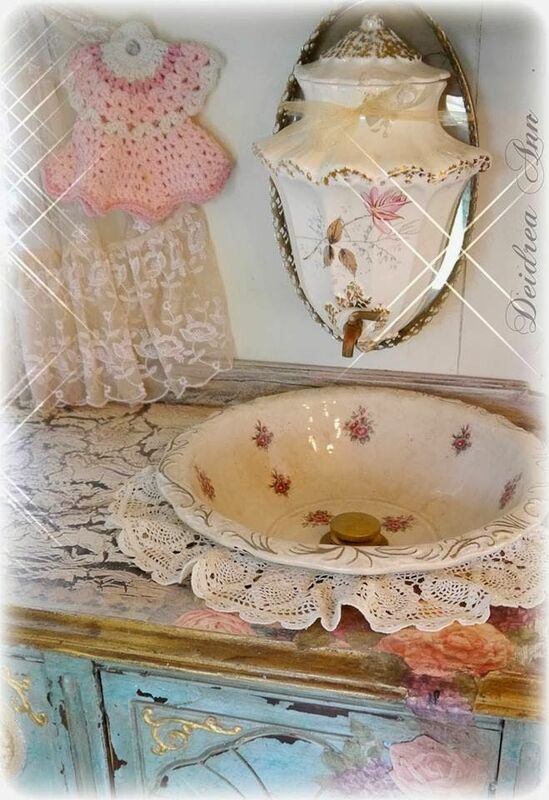 Pamper yourself at this lovely bathroom vanity. But don't forget to be back by midnight. 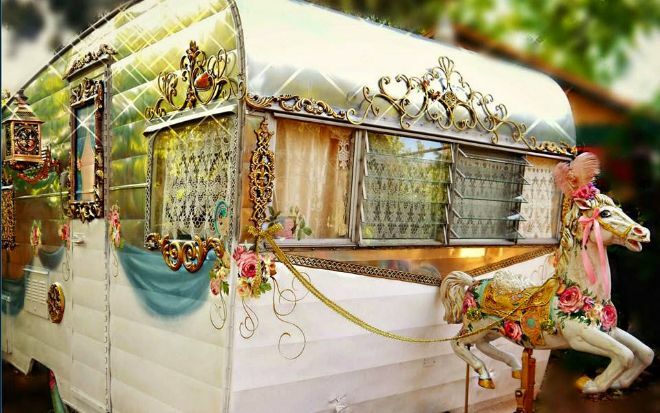 Is this camper perfect for the prince or princess in your life? If so, SHARE with your friends on Facebook.